This is the perfect gift at Christmas. KWV, having been acclaimed at ISC and IWSC over recent years as the home of the World’s Best Brandy, recently unveiled KWV Héritage XO Cognac SA’s first and only Cognac produced under a South African brand name. “Cognac can only be produced in Western France and verification of its authenticity is taken very seriously, protected by an origin appellation, meaning that in order for the blend to qualify as a cognac grapes must be sourced and the product must be bottled and matured in the Cognac region in France,” explains Peadar Hegarty, Marketing Director KWV Spirits. The Cognac story begins when KWV formed a collaborative partnership with the famed French House of Maison Charpentier. 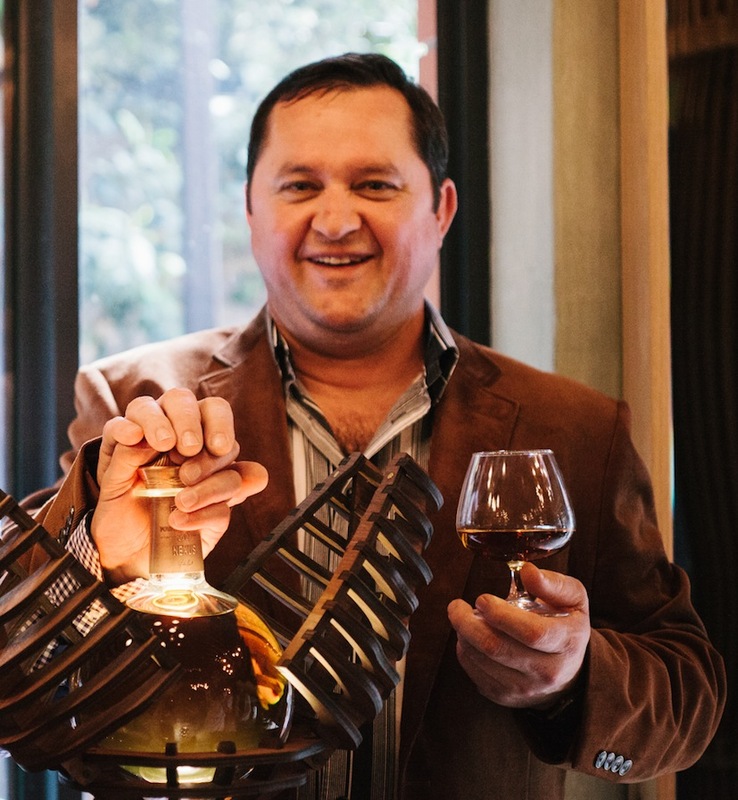 Pieter de Bod, KWV’s Award Winning Master Distiller requested a range of 20 of the finest “Extra Old” cognacs from the Petite Champagne and Grande Champagne regions in France, aged between 12 and 30 years, making it one of the oldest blends available worldwide and earning this Cognac its prestigious Heritage XO distinction. Pieter de Bod then travelled to France for the blending and maturation process. Cognacs from the sought after Petit Champagne area are characterized by their elegance and Master Distiller De Bod says that the artisans at Maison Charpentier, which was founded in 1895, are true masters of their craft, distilling their cognac on site in small batches, which are then carefully nurtured throughout the maturation process in French Oak barrels. He points out that this is significantly different from the mass produced mainstream brands. 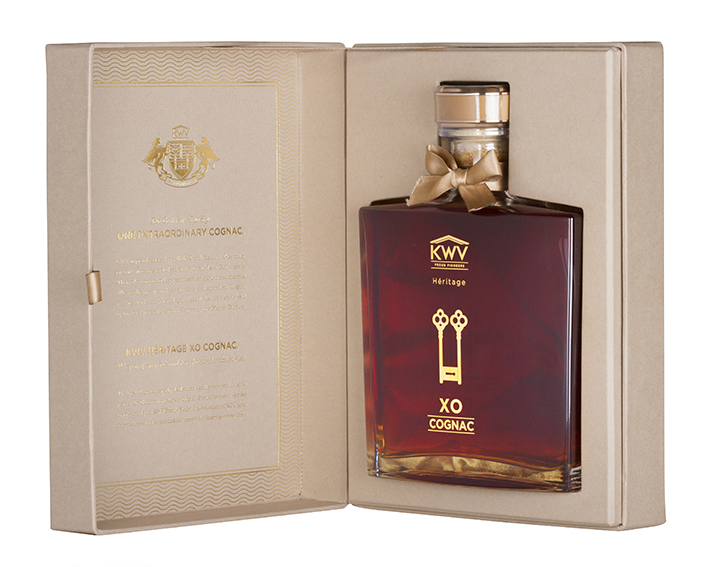 He adds that KWV XO is the perfect blend, double distilled in traditional copper stills and matured in French oak barrels, testament to brilliant craftsmanship. Pieter de Bod’s notes make interesting reading “rich amber in colour, conjuring up fruity flavours of litchi, cinnamon and fruitcake on the nose with notes of citrus, mocha and roasted coffee. On tasting, one discovers a well-balanced Cognac with hints of coffee and dark chocolate and a lingering, velvety finish,” he says. I was fortunate to attend the launch of this fabulous brandy at Café Dijon in Cape Town.